Can you grow kale in zone 9? Kale may be one of the healthiest plants you can grow, but it’s definitely a cool weather crop. 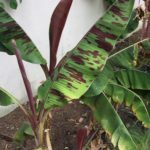 In fact, a little frost brings out the sweetness, while heat may result in a strong, bitter, unpleasant flavor. What are the best types of kale for zone 9? Is there even such a thing as hot weather kale? Read on for answers to these burning questions. Plant kale seeds indoors in late winter, then transplant the seedlings into the garden in early spring. Enjoy the harvest until the weather gets too warm, then take a break and resume harvesting your kale when the weather is cooler in autumn. 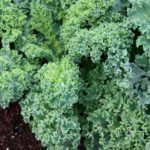 Succession plant kale seeds in small crops – maybe a batch every couple of weeks. Harvest the baby kale when the leaves are young, sweet and tender – before they get tough and bitter. 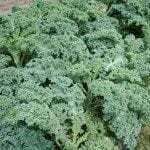 Plant kale in late summer or early autumn, then harvest the plant when the weather is cool the following spring. If you decide that growing hot weather kale is just too challenging, consider collard greens. Collards get a bad rap but, in reality, the two plants are closely related and, genetically, they are nearly identical. Nutritionally, kale is slightly higher in vitamin A, vitamin C and iron, but collards have more fiber, protein and calcium. Both are rich in antioxidants, and both are superstars when it comes to folate, potassium, magnesium, vitamin E, B2 and B6. The two are usually interchangeable in recipes. In fact, some people prefer the slightly milder flavor of collard greens.